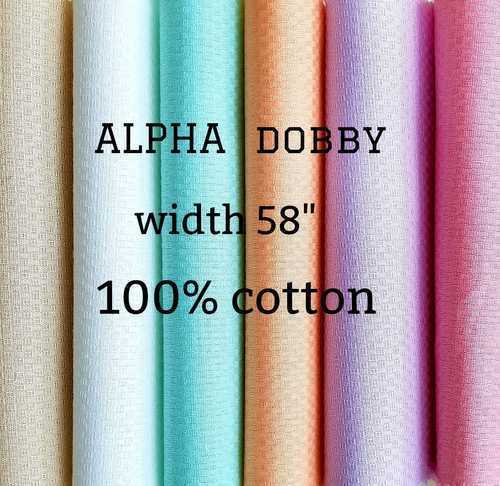 this fabric is 100% cotton in alfa dobby . And the fabric pattern is in plain. Width is 58-60". Gsm is 150-200. The counts is 60x60. Established in the year 1999, Kamlesh Textiles is one of the leading Manufacturer and Wholesalers of Cotton Fabric, Shirting Fabric. Our range consists of Shirting Fabric, Satin Shirting Fabric, etc. These products are highly applauded in market due to superior quality fabrics, finely stitched, attractive colors, intricate design, color fastness and skin friendliness. Our all products are of superior quality and meet the present market demand. All these products are prepared under the supreme vision of highly talented professionals, who have years of experience of this industry. Owing to its superior quality, our products are highly domestic market as well as international market.